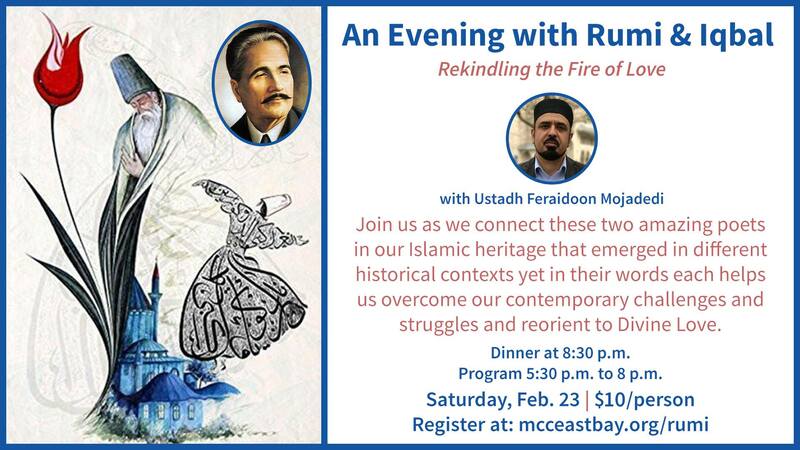 Join Ustadh Feraidoon Mojadedi for an evening with Rumi & Iqbal “Rekindling the Fire of Love” as we connect these two amazing poets in our Islamic heritage that emerged in different historical contexts yet in their words each helps us overcome our contemporary challenges and struggles and reorient to Divine Love. At the request of the presenter, this session will not be livestreamed or recorded by the MCC. Please attend in person.